The population growth and further urbanization will have a significant effect on the need for the delivery of goods, especially in urban areas, causing environmental impact, traffic congestion and problems in reaching consumers (last mile logistic). Some interesting solutions currently in experimentation have been developed using the rivers and canals, which might replace the use of several trucks with a lower carbon intensive mix of transport means. 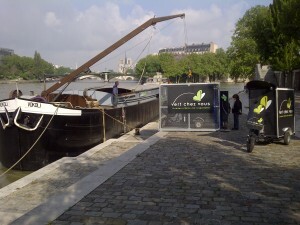 Vert chez vous developed a strategy to make delivery of the last mile eco-responsible. It is based on the implementation of management tools and on the improvement of delivering goods using eco-vehicles (boats, electric bicycles, electrical vans) and storages suitable for these vehicles. It results in the development of a sustainable model adapted to the city context. 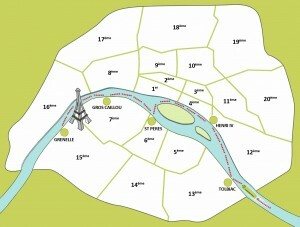 This system of overcoming the sustainability obstacles is applicable only when waterways are available within the city. This model can not be replicated in every city but it exemplifies potentialities to reinvent the current mainstream logistic systems reusing part of still existing past infrastructures merging them with new sustainable vehicles. How can a service like this one compete with complex and high-level existing delivery and logistics companies both in terms of price and efficiency? How could this model be replicated in other cities (with navigable rivers and canals)?